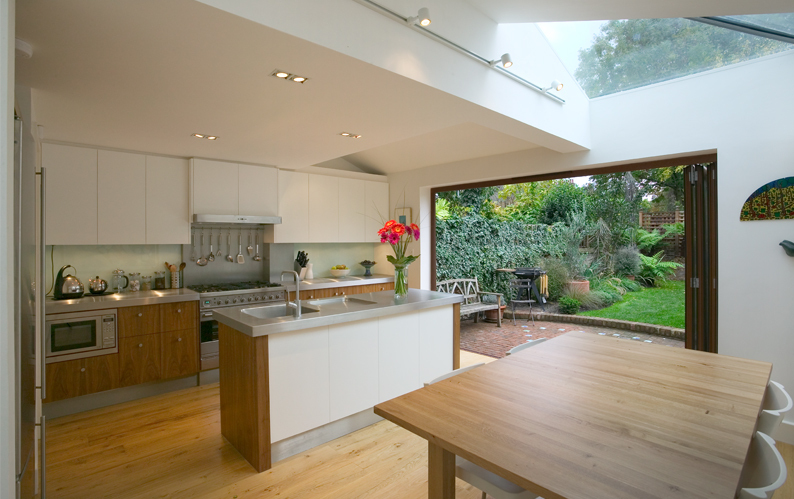 Victorian terraced house, the brief was to build over the unused space between the rear extension and the garden wall, linking the house to the garden with a new dining kitchen which opens onto a garden. 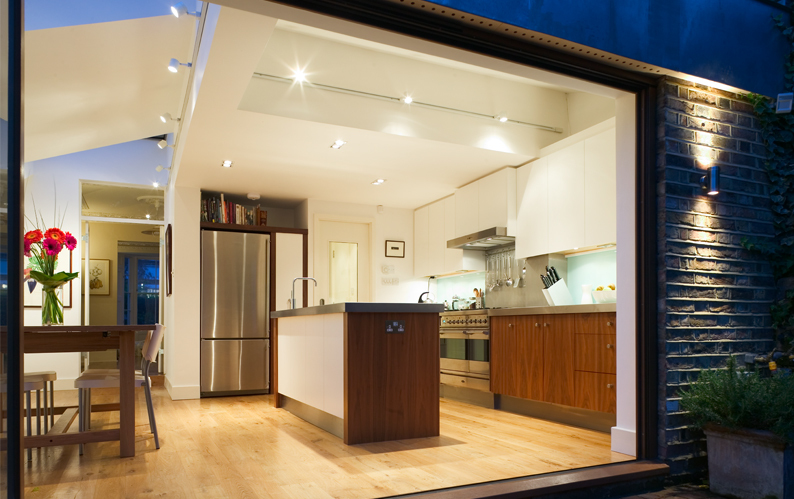 The clients both New Zealanders were used to inside/outside living and wanted the inside to flow out to the garden. 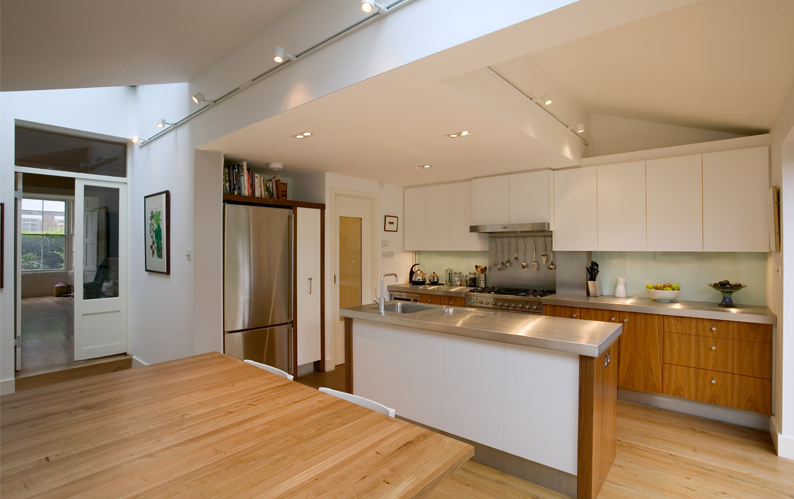 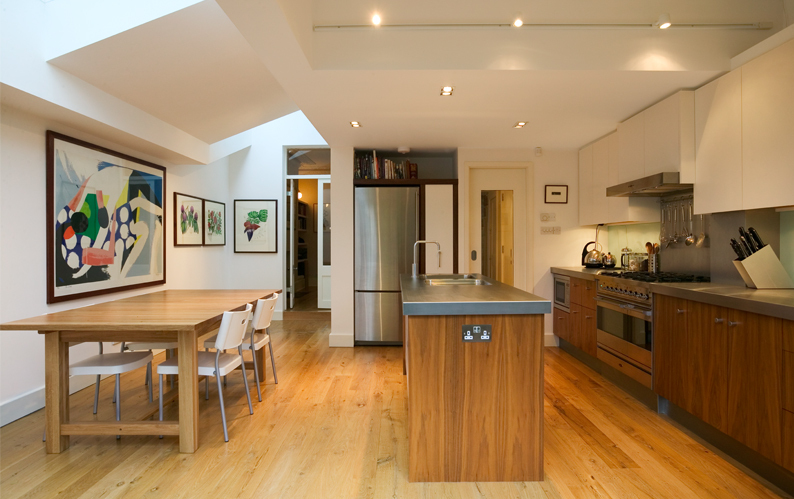 The side passage was roofed using two structural glass rooflights which throw light back into the main house. 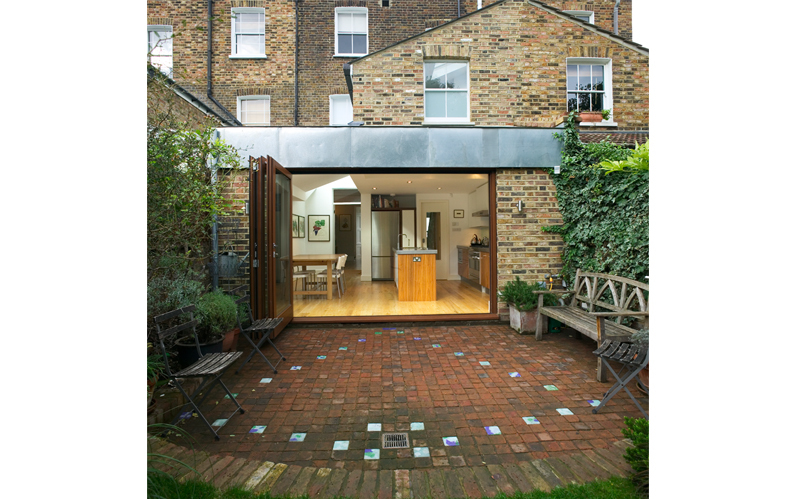 The doors onto the garden are Scandinavian style folding doors.